↑ Peter Barenboim, Constitutional Economics and the Bank of Russia, Fordham Journal of Corporate and Financial Law, 7(1), 2001, p. 160. National System of Political Economy - Major work on political economy by Friedrich List. History of Economic Thought - This compendium hosted by the New School has collected bios on over 500 economists and introductions to many schools of thought. Global Political Economy Net Mailing lists and other reference material by scholars of "The Global Political Economy"
New Political Economy Research Center, University of Sheffield. 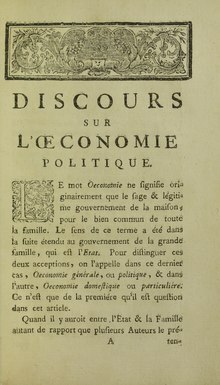 Constitutional Political Economy Most recent issues online. This page was last changed on 21 January 2018, at 04:53.